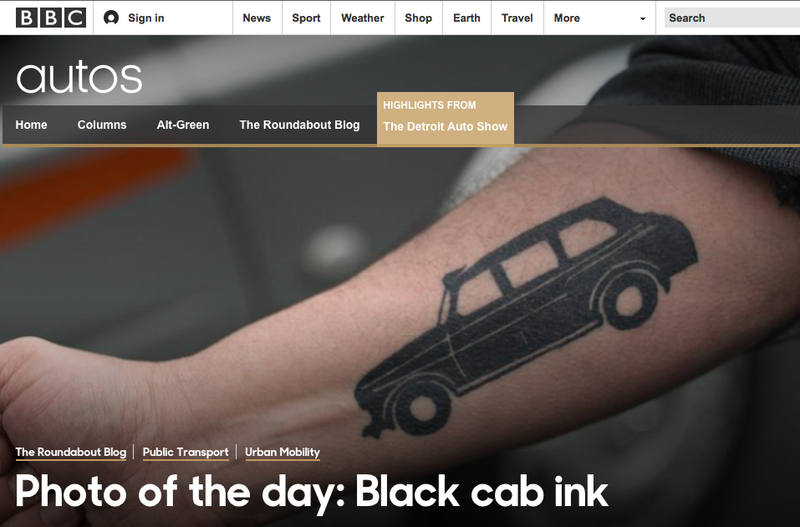 Dioramas and Clever Things: London (Uber) Calling. What would Fezziwig think? London (Uber) Calling. What would Fezziwig think?
. This London taxi driver put his allegiance on his arm to protest the entry of Uber into the London market. I like tradition and wish London black cabs and red double decker buses and classic phone booths would never go away, but I also appreciate progress and know that the old must give way to the new, even though I'm not often very happy about it. Fezziwig: “It’s not just for money alone that one spends a lifetime building up a business…. It’s to preserve a way of life that one knew and loved. No, I can’t see my way to selling out to the new vested interests, Mr. Jorkin. I’ll have to be loyal to the old ways and die out with them if needs must. 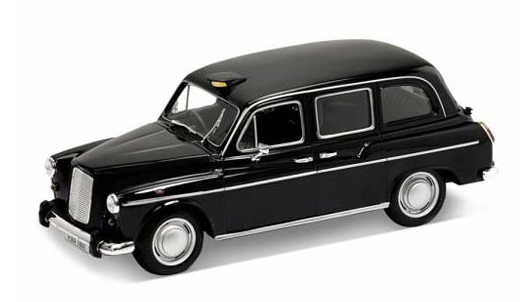 Austin FX4 scale model from Welly. Just saw one of those cabs in a movie this weekend. (The Boy) I like them too!